land. 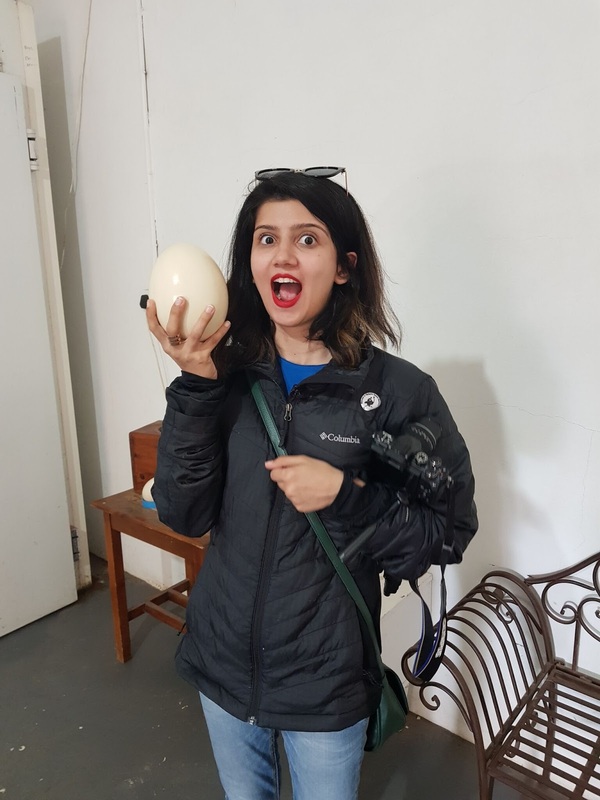 We travelled with our 16 months old toddler so a lot of planning was done keeping that in mind (parents would know what I mean). I'm not sharing the total cost of the trip because there are too many variables, from the kind of hotels you stay in to the kind of places you eat at. So quoting a number seems pointless. I'm linking all the places though so you can check out the rates whenever you plan to go and calculate your cost accordingly. We travelled during off-season, June end, so the flight and accommodation cost was obviously not as high as it would be during peak season. The tourist season in Cape Town starts from November and goes on till March. According to the locals, the best time to visit is April because the crowds have died down but the weather is still great. 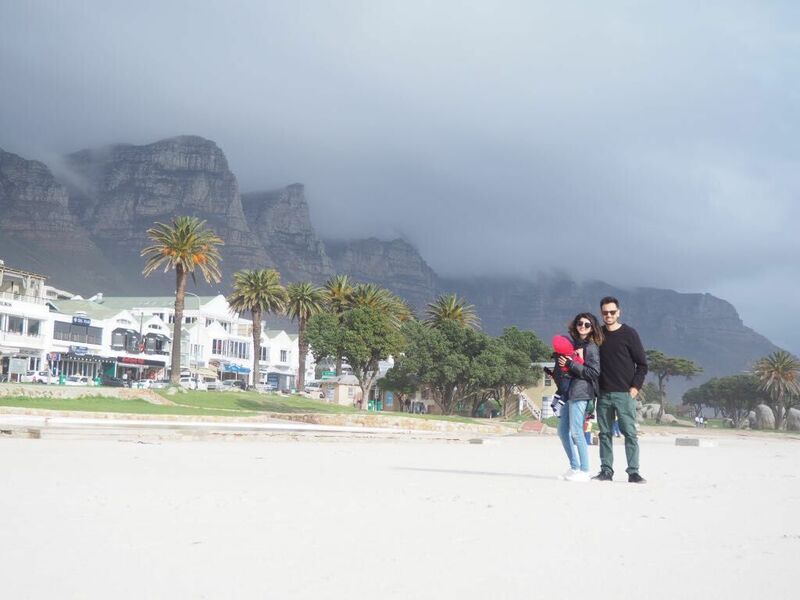 We flew from Jeddah to Johannesburg, stayed there for a day and then flew to Cape Town. We were getting better tickets this way and the flight duration and timings suited us better with Aleyan. Accommodation in Johannesburg - Singature lux Hotel Sandton – 300 SAR/night. A small room - perfect for a night stay. We checked in one night, went out to eat, slept and checked out next morning. Security is a major concern in Jo'burg and Sandton is considered a relatively safe neighborhood for tourists. 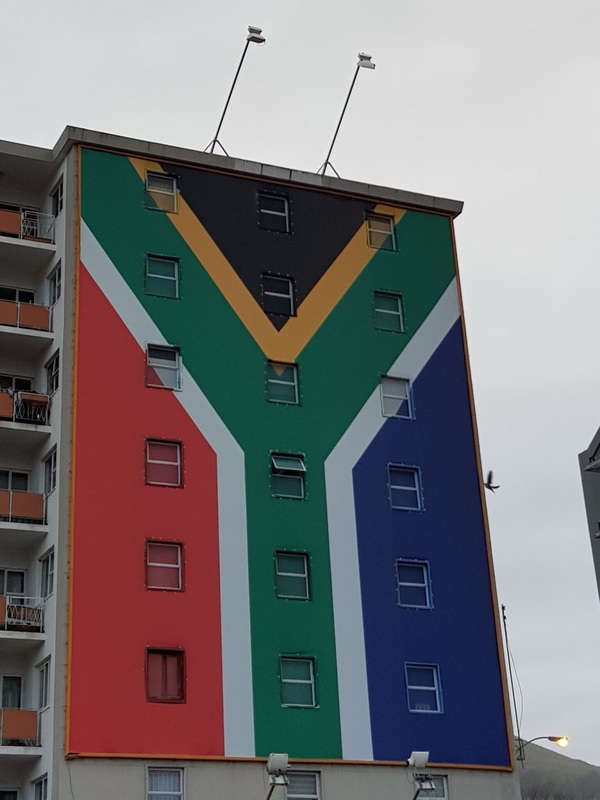 The hotel is 5 mins walk from the Gautrain Station (you can take the Gautrain to/from the airport) and is right in front of the Nelson Mandela Square and Sandton Mall, which houses A LOT of restaurants. Hence, we didn't have to spend time going around finding places. To avoid street crime, tourists are recommended to avoid local taxis and use Uber for transport. Uber has specific pick up points and all details are provided on their app. It was super convenient. 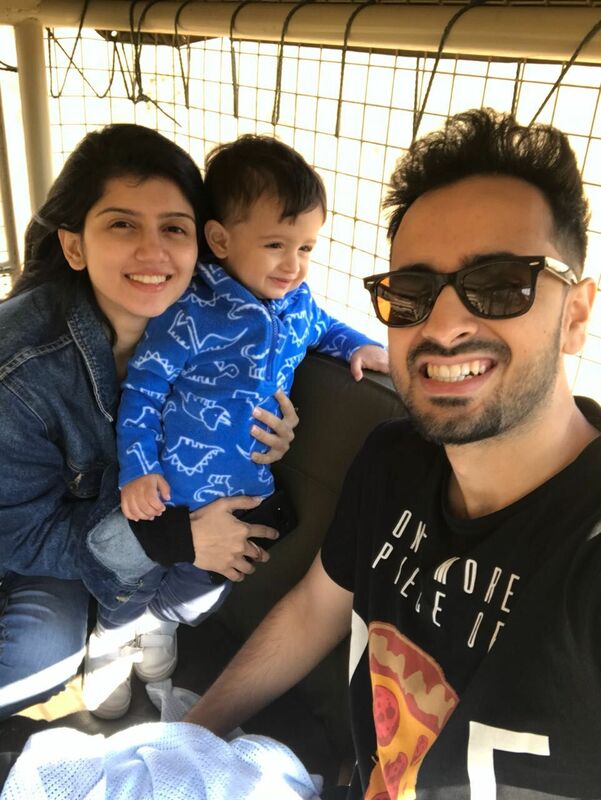 Day 1 - Spent the day at Lion and Safari Park where we took a guided safari tour. You can find out all details about safari tours and other activities at the park on the website here. You can also see lots of pictures and videos snippets of our safari on my insta stories' South Africa highlights here. Kruger National Park is highly recommended for Safari in Jo'burg. However, the true Kruger experience requires you to opt for on-site accommodation and spend 6-7 days camping. Since the park is HUGE, most people say that spending 1-2 days mostly means you don't really get to see any animals in action. It's also a matter of chance, some people may get to see something rare in 2 days and others might not see anything in a week. 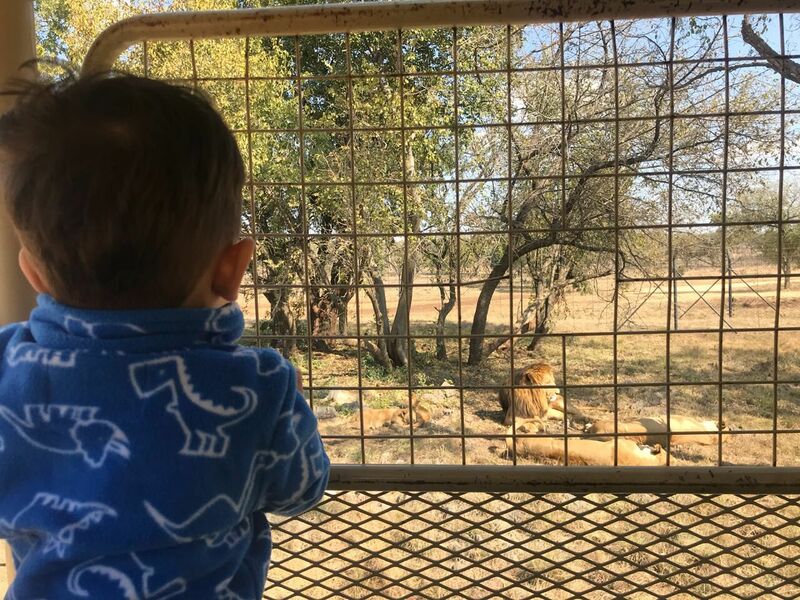 Since we had limited time in the city, we didn't want to risk it at Kruger and chose the Lion & Safari Park instead. Flew to Cape Town in the evening where we stayed for 5 days. 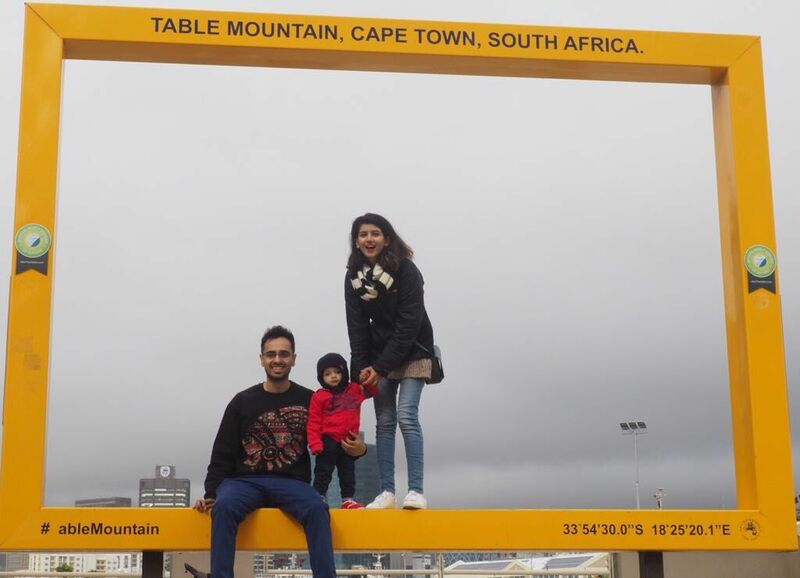 We kept a longer duration considering the weather forecast of rains and the fact we were travelling with a toddler. We wanted to have enough flexibility in our schedule to take things slow and not be in a rush. Having visited the city, I can confidently say that Cape Town offers enough to keep you busy for 5 days. Even if you don't have to carry a toddler around. 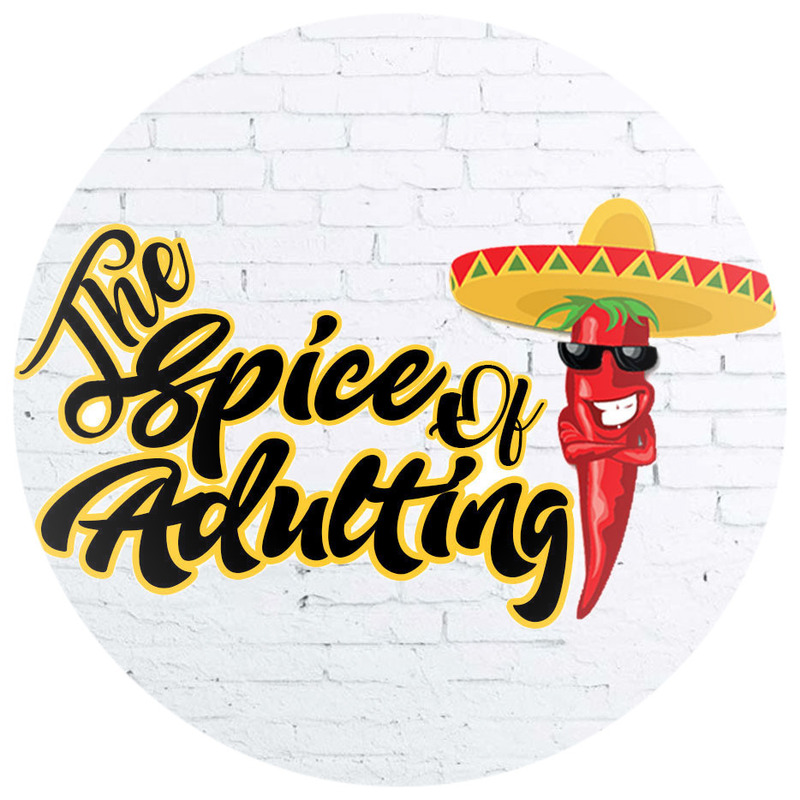 Accommodation in Cape Town: Air BnB located at Green Point (not linking because it's not available anymore). Cost us SAR 200 per night. The location was great because it was 10 minutes walk to the Waterfront. Choosing an Air BnB instead of a hotel room turned out to be a really wise decision. Aleyan had more space to play around and we had a kitchen which made things easier. We did some basic breakfast groceries on the first day which meant we didn't have to rush out every morning because of growling tummies. We could start our day as per Aleyan's sleep and we all know a well slept child is always a happier child throughout the day! 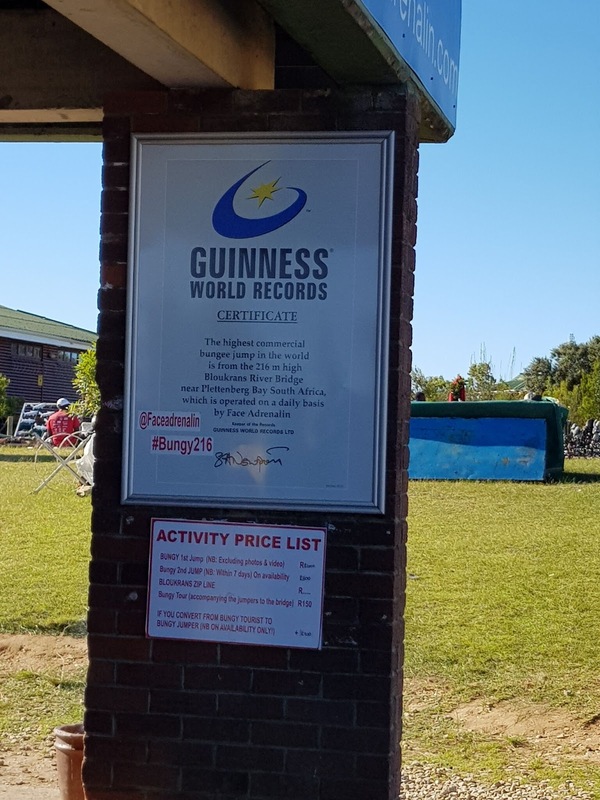 Day 2 – Walked to V & A Waterfront and spent the entire day there. Lots of shops/stalls and food places, including halal ones, YAY! If you're a beef burger person, Woodies is your place (google map it). A lot of open space for kids to run around and a small play area as well. If you're interested in shopping, the V&A Shopping mall offers a variety of local and international brands and houses a cinema as well! 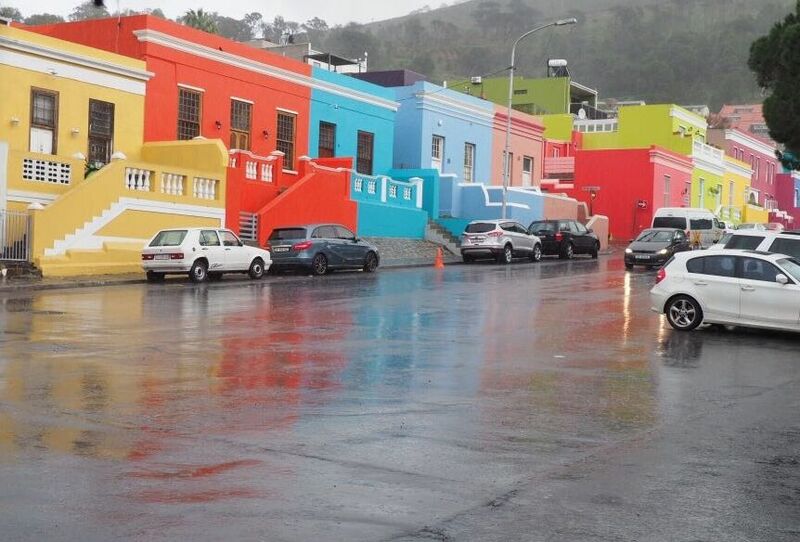 Day 3 - Took an Uber to Bo-Kaap and strolled around the neighborhood. Went to a shooting range to fulfill Ahmad's spontaneous plans and checked out the Green Market square for souvenir shopping. 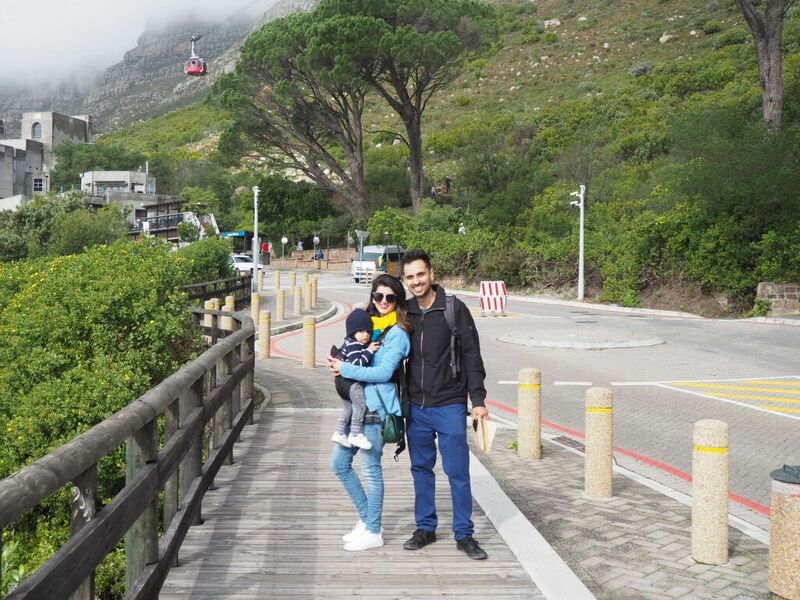 Then got onto the Hop on Hop Off Bus and took the route that takes you around the Table Mountain, to the BREATHTAKING Camps Bay. If you're visiting in summer and want to stay at a happening spot, you may want to look up hotels/guest houses at Camps Bay. 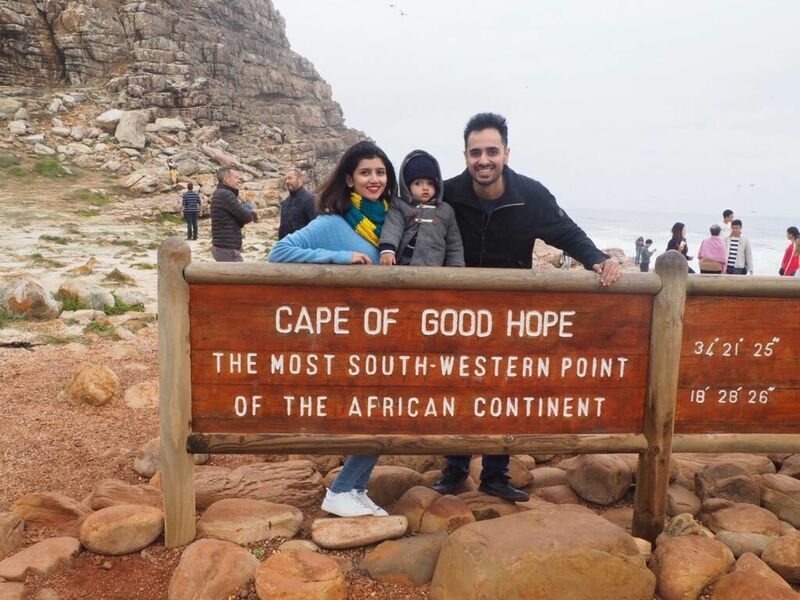 Day 4 – Rented a car and a car seat and started the day early to drive all the way to Cape of Good Hope. We booked the car online with Hertz, there is no guarantee of car availability for walk-in customers. It was a drive to remember because you're basically driving along the edge of the African continent, the ocean on one side and mountains on the other. Subhanallah mashallah type scenes. 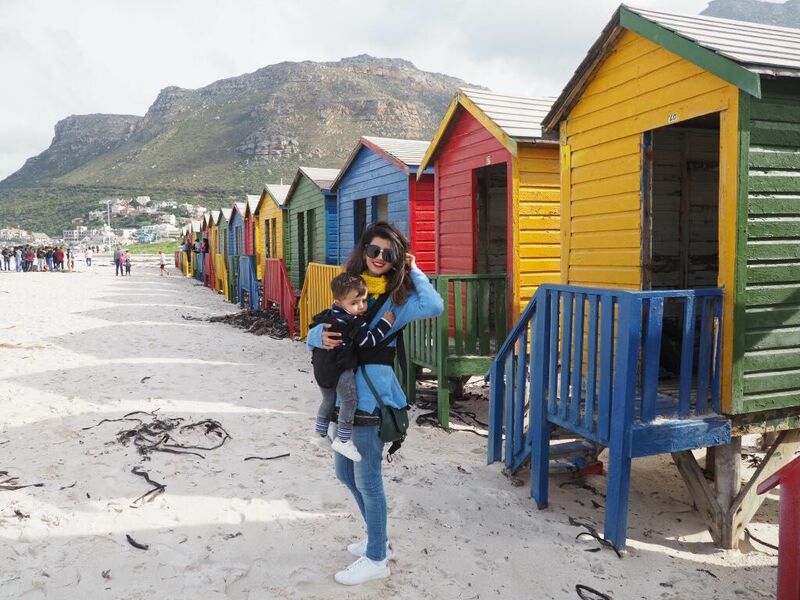 Muizenberg Beach - known for its iconic colorful huts and a popular surfing spot. 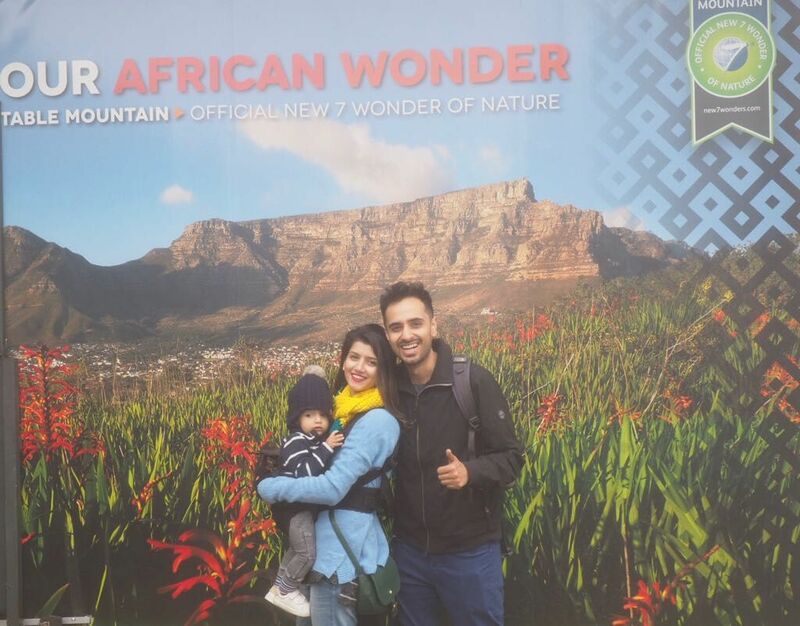 Table Mountain - Probably the biggest tourist attraction of the city and one of the 7 Natural Wonders of the World. You take a cable car up the mountain and enjoy stunning views of the city. 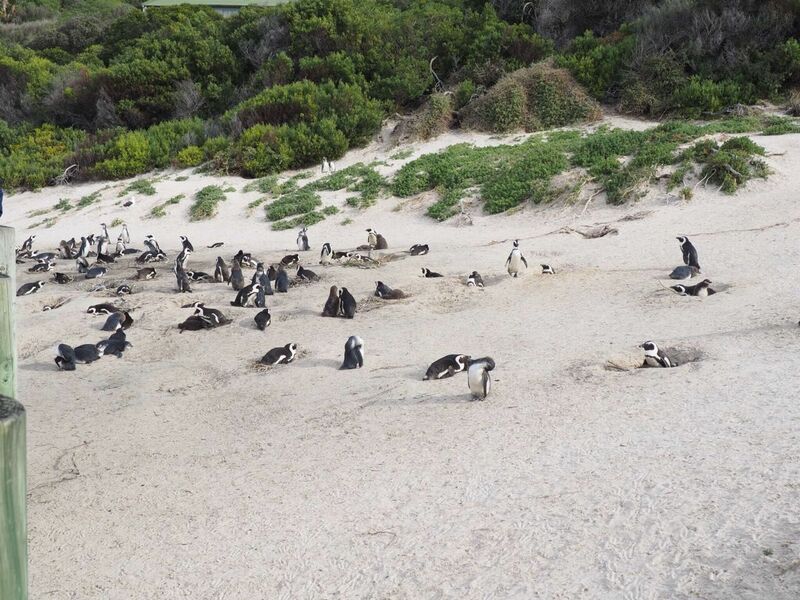 Boulders Beach (LOTS OF AFRICAN PENGUINS) - Penguins. Enough said. 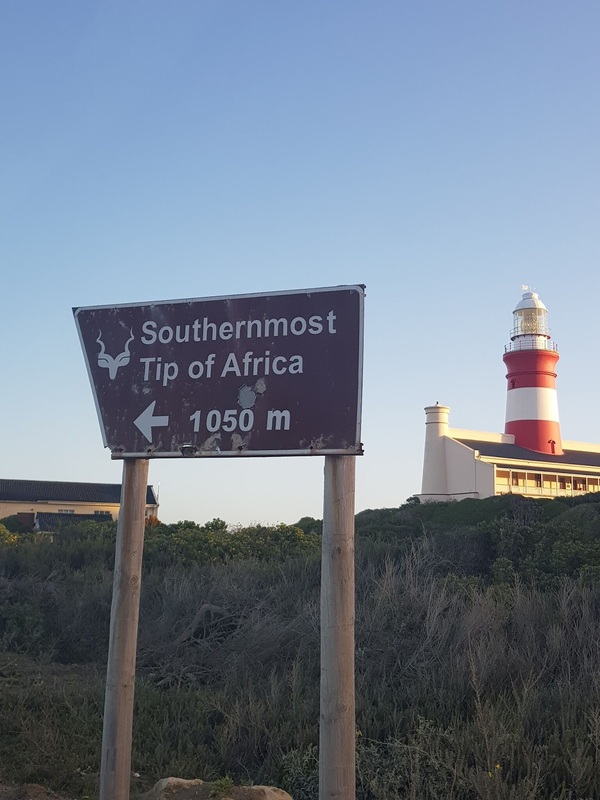 Often confused as the southern most point of the African continent, but it's NOT. It is the most south-western point but it is an extraordinary place to visit, regardless. Driving down the road to this point felt like we were driving right into the ocean. I wrote about the experience here, if you'd like to read. We were probably able to cover all these places in one day because it was off season and we didn't have to wait in long queues for tickets for the Table Car or at the Boudlers Beach. You might want to spread these out if you're visiting in rushy season or if you're visiting in summers and want to spend the day at one particular beach. Day 5 – Wanted to visit Robben Island but the trip was cancelled because of rough sea. Robben Island is where Nelson Mandela spent 18 out 27 years of his imprisonment, you can take a ferry from the Nelson Mandela Gateway at the V&A Waterfront. The entire trip takes about 3.5 hours. So we rented a car again, said goodbye to Cape Town and started our 3 day road trip on the Garden Route. There are lots of stops you can make on the way. Lots of bays to stop by and stunning views all around. We were able to find halal KFC in small towns, otherwise there's always sea food. 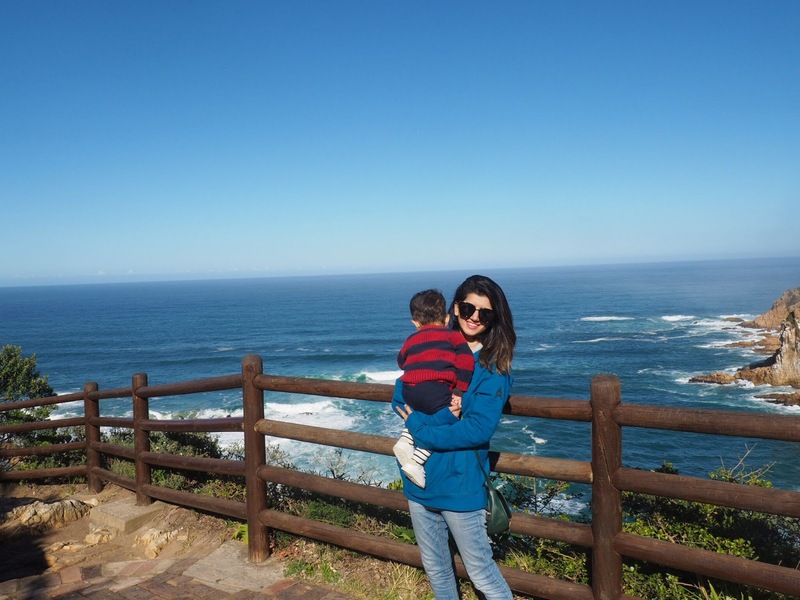 Check out a glimpse of the Garden Route here. First stop: Hermannus - popular as a whale-watching destination. We weren't able to spot any though. You've got to be very serious and focused. And we weren't any of those. 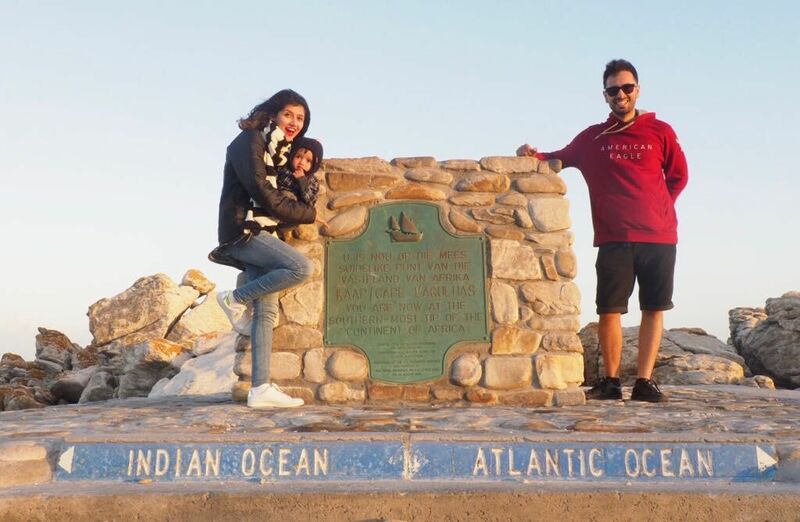 Second Stop: Cape Agulhas - THIS is the southernmost point of the African Continent. And the point where the Indian and the Atlantic Oceans meet. We didn't plan to stay the night here but it was getting late and we spontaneously decided to stay. 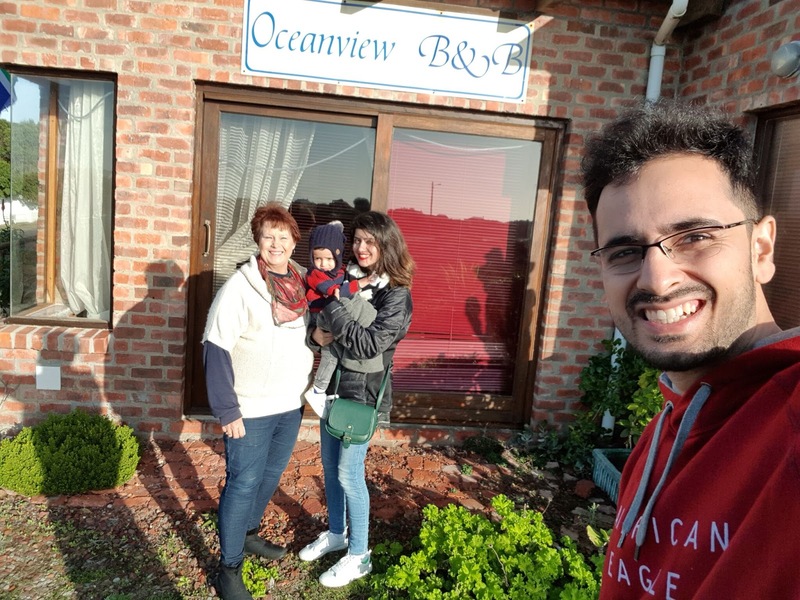 Found a lovely little cottage by the name Oceanview B&B and it made for the perfect night stay. We took the Green Room and it cost us SAR400/night only because it was off season. They have cheaper rooms as well and I would highly recommend it if you're looking for a cosy place with a great view of the ocean. Day 6 – Drove along the Garden Route again, making random stops on the way. 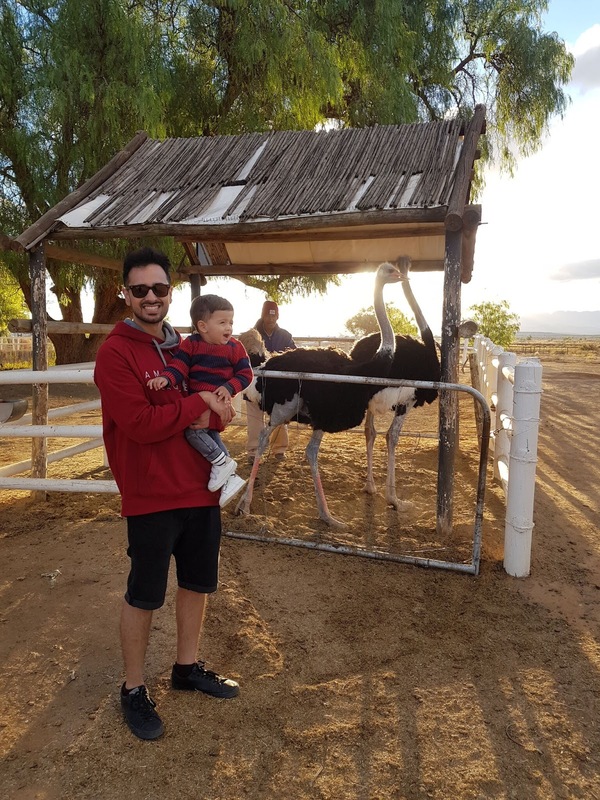 Visited Highgate Ostrich Farm at Oudtshoorn, the ostrich capital of the world, where you get to see lots of gorgeous ostriches, feed them and see their chicks. You can check out all information about the farm here. Final stop: Knysna - a small town right out of fairytale. Accommodation in Knysna, Under Milkwood Chalets – SAR300/night. It had two bedrooms, a spacious lounge and a well equipped kitchen. Most accommodations in Knysna are chalets equipped with all kitchen utensils and even BBQ arrangements. Do your own groceries and cook your own food. Perfect for big families staying for longer durations. The town has total picnic feels and that's what most visitors do there. 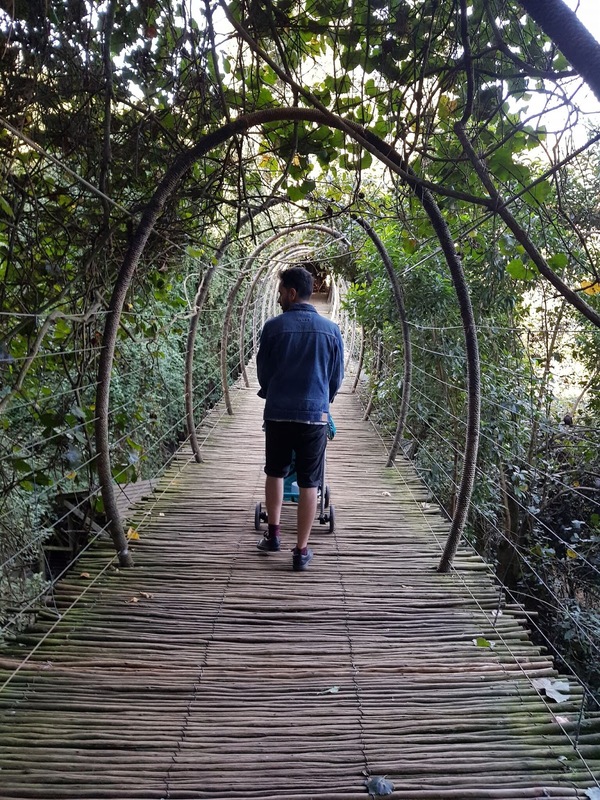 But if you're not interested in cooking, there's a cafe by the name East Head Cafe just down the road with the most stunning view of the Knysna's lake, delicious food AND a lovely little play area for kids. Win-win. 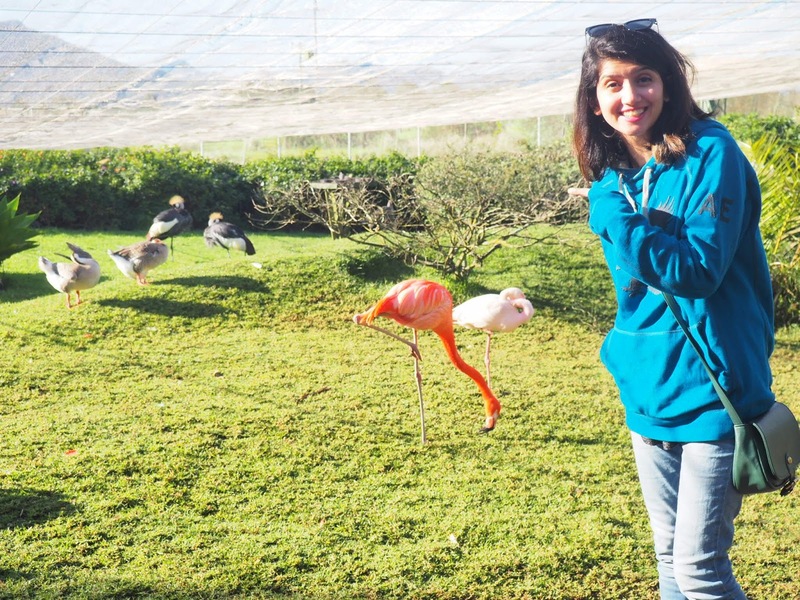 Day 7 – Drove to Plettenberg Bay and visited Birds Of Eden - the biggest free-flight bird sanctuary in the world. Had the most amazing time and would highly recommend a visit. They have FLAMINGOES. ASLI WALAY. Nobody should need more convincing. 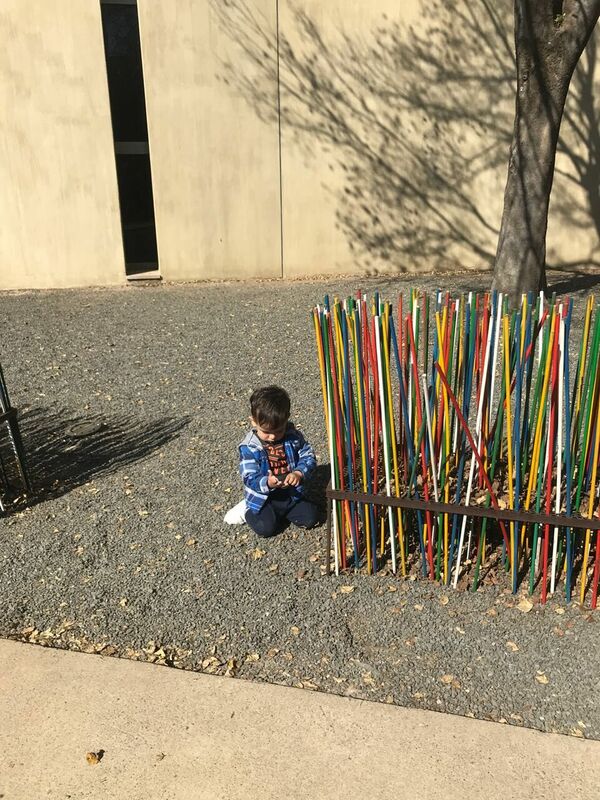 It is very child friendly and you can easily take the stroller inside and walk around with it. There's also a Monkeyland Primate Sanctuary - the world's first free roaming multi-specie primate sanctuary, YES. We didn't go inside so I can't tell much but visit the linked website to find out details if you want to see some bandars in action. Day 8 - Drove to Port Elizabeth, enjoying lots of windmill views on the way. 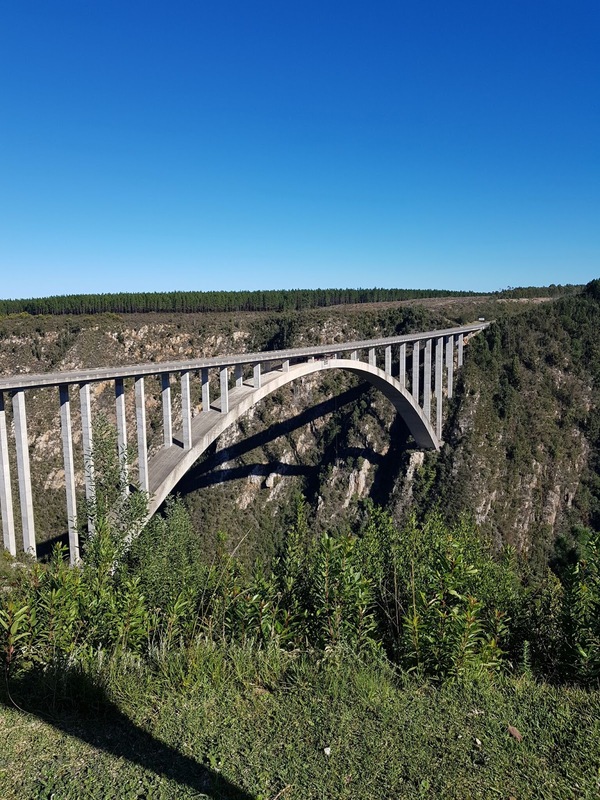 Stopped at Bloukrans Bridge,which is the world's highest bungee jumping spot! Neither of us was feeling adventurous enough to try the jump though. So that's that. Returned the car at the Port Elizabeth airport and took a flight back to Jo'burg. Stayed at the same hotel where we stayed the first time, Signature Lux Hotel Sandton (linked above). 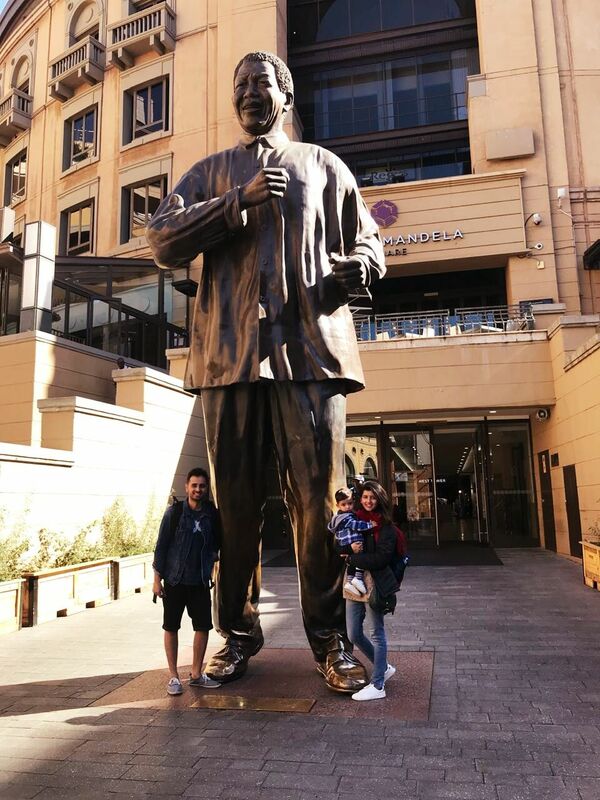 Day 9 – Visited the Apartheid Museum and spent some time at the Mandela Square before taking the flight back home. Cape Town is definitely one of the few cities that I would love to go back to. It is unique in it's beauty and offers a rich variety of all kinds of landscapes. There is wildlife and beaches and mountains and lush green lands, all at the same place. 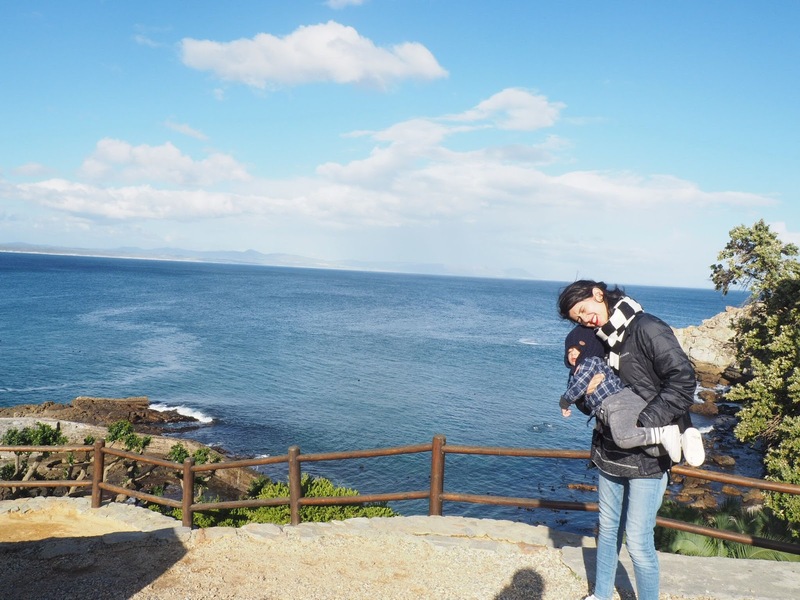 Highly recommended as your next destination for a family trip! 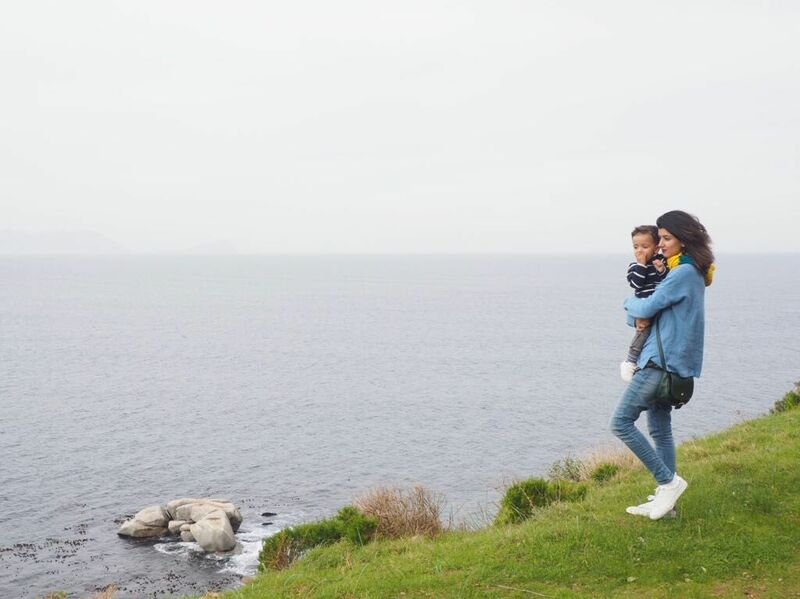 Follow our travelling with a toddler stories on instagram here.